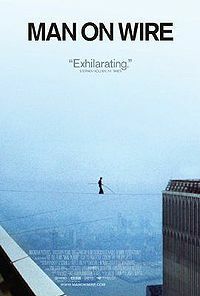 The anonymous “walker” in Let The Great World Spin obviously is inspired by Philippe Petit, the French high-wire artist who walked between the Twin Towers in New York in 1974. Anyone interested in that extraordinary act of artistic daredevilry might want to see the 2008 documentary about the event directed by James Marsh, which won all sorts of film awards. Also, the epigraph for McCann’s novel comes from Aleksandar Hemon‘s novel The Lazarus Project. Hemon’s life and work are fascinating. Music lovers will appreciate this interview with Hemon about the music he loves (and listened to while writing The Lazarus Project.) “I cannot live or write without music,” he says. This entry was posted on Wednesday, June 9th, 2010 at 7:34 pm. It is filed under Carrie Brown, Summer 2010 Books. You can follow any responses to this entry through the RSS 2.0 feed.